Pausing or slowing down to bring mindful attention to our bodies and minds when shopping, preparing and eating food, we discover that there is often a whole lot more going on than we first think. Being fully present means we experience more sensations. With food, this means a rich explosion of sensation to savour and enjoy. When we choose to explore, rather than judge negatively or react to food habits we wish to change, we can discover the real drivers that lie behind them. This helps us to make changes with more skill and ease. Key practices you can try right now. Mind eating helps us to be more conscious about food choices and habits. How and what we eat has changed dramatically over the last centuries and even decades. We now have a global garden from which to choose our produce. Compared to our hunter-gather ancestors, we have much more choice and our eating habits are very different. But have we developed healthy eating habits? The World Health Organization has warned that obesity (and its associated health conditions) are a significant hazard to our health. Bringing mindfulness to food can help us take a detailed look at our eating habits and shopping behaviours. Eat less and feel full more quickly. 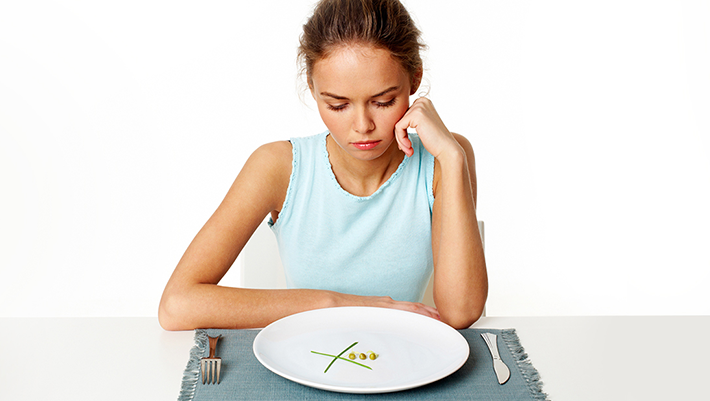 Some studies have shown that mindful eating helps people to lose weight. This article provides a critical overview of this work. We spend a lot of time and effort taking care of our nutrutional needs – what to buy, where to buy it, researching and attempting various diets, and even augmenting our intake with supplements. Yet, in the actual act of eating food we often pay little attention. Have you ever eaten a sandwhich while driving? Typing? Walking? We are able to do multiple tasks at once and eating can be done automatically. Some people even report that they can’t remember when they last ate or what they ate, because they were so focused on something else whilst eating. In today’s busy world, it’s not uncommon to “work through lunch” or skip meals altogether. Many people are eating alone. According to French food sociologist Claude Fischler, “the simple act of eating involves more than just you and your food — society is also present, in the customs, in the place, and in your companions (or lack thereof)” What happens if we bring this richness of our eating experience to our awareness? Many people have highly emotional relationships with food. What’s your “comfort” food? Reaching in slow motion for the biscuit tin whilst paying attention to your body may illuminate your real motivation to eat. Are you angry, lonely, tired,bored or hungry? How can we take a closer look? Try the Mindful Eating Reflection Worksheet to see if this is the case for you. There are three main areas where you can start to explore food habits. Our eating behaviour starts in the supermarket. Although there are a variety of ways to get our shopping we are usually engaged in some way with evaluating and selecting the foods for our shopping trolley (whether it is a real trolley or an online trolley). You might try the transitional pause exercise from last month as you begin shopping. Shopping in this way also makes it less likely you will be unduly swayed by promotional advertising in the shops, reducing impulse purchases. Try the “slo mo” reaching for items on the shelf. Slowing down lets you see the underlying intention, why are you really selecting that item? Washing, slicing, draining and serving food can be done automatically or mindfully. You can use these activities for informal mindfulness practice. Try doing just that activity, with full attention on the body, the movement, the textures, sounds and tasks. After eating you can turn the chore of washing up into a mindful practice. Pay attention to just these movements, stay present with all the sensory information related to just that activity. A variety of explorations can help you to see the difference between mindful eating and your usual eating habits. You may be doing some of these already but see if you can challenge yourself to one mindful meal a day, or make one family meal a week a mindful meal. Chew each mouthful 25 times. Tune in to sensations such as textures and flavours of the food in your mouth. Feed yourself with your non-dominant hand. The majority of people use a knife in the right hand and fork in the left. Swap these around. This will force you to pay more attention, eat more slowly and give you the chance to see the intentions that underlie food habits. Eat with chopsticks for a week (try dominant and non-dominant hands for a real challenge). Rest your fork back on the plate between each bite. Take your first bite with your eyes closed, tuning in to the sound of a crunch as you bite an apple, the crisp snap of a pizza crust, or the sound of swallowing. Try to identify every ingredient in your meal. Reflect on how that ingredient made its way to your plate, your mouth and your tummy. Do you know the journey your meal took to reach your plate and now, your stomach? Who grew this? How? Where did it come from? How did it get here? Put your food on a plate of a different size to the one you might usually use. Eat the whole meal (or one course) in silence. Remove distractions such as phones, tv, radio etc. Advanced practice … try eating mindfully a food you don’t like. This will help you to train your awareness to your own personal reactive habits. You can learn more about how your mind reacts when things are not as you wish them to be. Eating – explore your next meal or mouthful. Record what you observe on the sheet below. Try to be more curious about what you are eating. How might a child experience this food item if they were seeing it for the first time? What can you experience if you engaged with this food with your eyes closed? Does the food have any sound?